William Blake, poet-painter: we ask you to magically obstruct the development of towerblocks by Bunhill Fields. This petition has been created by Niall M. and may not represent the views of the Avaaz community. 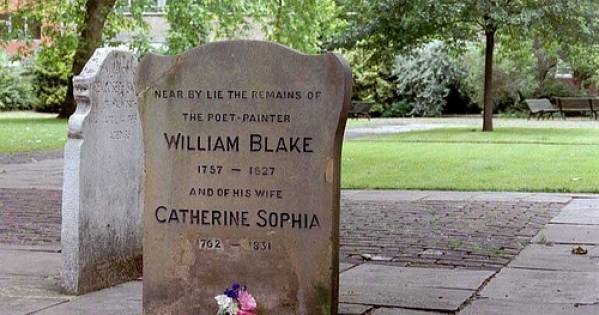 Bunhill Fields is a Grade 1 cultural heritage site which includes the graves of William Blake, Daniel Defoe and John Bunyan among its attractions. It is also a beloved public park and vital green space in one of the most congested, polluted areas in London. The undemocratically approved development - which includes two skyscrapers of eleven and ten storeys - will spoil the special character of Bunhill Fields and deprive it of light, making this little corner of 'England's green and pleasant land' less green and more unpleasant. In the short term, the noise and disruption will be terrible. In the long term, the garden will be colder and darker and the skyline will be defaced. Save William Blake's breathing space in the City of London. Block the skyscrapers, not Bunhill Fields.